Corporate communications, investor communications, branding, marketing. Films for television and theatrical release promoting causes, organizations and communities. Adobe Systems, Amdahl, Bank of America, Blue Cross/Blue Shield, Credit Suisse, Dell, Federal Express, Fujitsu, Kodak, Hansen Medical, Heard Museum, Hewlett Packard, IBM, Lockheed Martin, NACHA, Sun Microsystems, Scripps Institution of Oceanography. Pre-IPO Equity Crowd Fund Raise International Legacy Brand, Messaging, Public Relations, Insider Campaign. The Three Affiliated Tribes of Fort Berthold Reservation, North Dakota: Create global brand platform for sales of fine art, apparel, and various transactions in a branded community space. Align subsidiary SBA 8 (a) companies into a coherent vision and expression for Economic Development program. Research, write, and develop a financial platform for investors, tribal business (TBE’s), and entrepreneurs (“Buying Back America”). 1st full frame video website created for food, wine and hospitality industry Vin65 CMS platform. Website created for Inman Family Wines rebrand – “4, 5, 6 Pinot” Brand Identity. Created co-brand relationship with The Lower 48 band pairing wine and music. Site touts “Sensitive Farming” and sustainable practices. Inman Family Wines had its best sales year ever in 2016, with a high level of sales through the website. The year was capped with a large one day purchase of Rosé via the website by Martha Stewart Omnivision. Ms. Stewart’s purchase indicates that Inman Family’s Brand Presence is on par. In March 2017, Inman was featured in Conde Nast Traveler Magazine. 2017 (Women Winemakers). Sales continue to skyrocket. Who Are My People? Documentary film. “Who Are My People?” is a 1 x 60 (1 h.) television documentary film on the current and controversial topic of the build out of large-scale renewable energy in the deserts of the West. The LA Times indicates we are at a “Flashpoint” between competing value-systems. Bodies have been exhumed, and geoglyphs destroyed, in an area that is a long-term indigenous landscape. “Who Are My People?” documents the conflict between Tribes and global energy producers over site-ing of land–intensive energy projects, in sensitive desert ecosystems, in and around Native American antiquities, indigenous landscapes, and sacred sites. The film takes us behind the scenes of two of the largest solar projects in the world. Campaign to locate large solar away from pristine desert lands. La Cuna Sacred Sites Protection Circle, CARE (Californians for Renewable Energy), Rex Foundation, Protect Our Communities Foundation, and other non-profit groups. PROCESS: Research, vet, and hire attorneys. Revise and develop arguments related to litigation. Coordinate with environmental groups. Compile and communicate Native American oral histories. Envision, create and distribute documentary web videos explaining issues. Manage and develop media contacts, communicate with analysts. MILESTONES: Stories go to AP Newswire twice, appearing in over 150 venues nationally and internationally. Legal complaints and outreach/communications generate global response, change public perception around site-ing, employment, and cost. Various projects for small business, building internet campaigns, web videos, innovative websites for non-profits. Small business clients include: Hilldale Capital, LLC, Bessell Custom Surfboards, The Andy Warhol Foundation for the Visual Arts, Palo Verde College. Filmmaker David Hoffman, Moss Research Sustainable Surfboards, Empowered Energy Solutions (Addy® Winner–American Advertising Federation 2012), Entec Properties, U-Grow Organics, Intelliscape Films, St. James by-the-Sea Episcopal Church (Capital Campaign), Episcopal Diocese of San Diego, Reaves Law, Land Use and Environmental Mediation Group. 2010-2013. Rapid Response Viral Ads. Aguirre for Governor Campaign. RESULTS: Videos from the California Democratic Convention spark reactions from major candidates, generate support and endorsements, drive web traffic, and place Aguirre in the polls (ABC Rasmussen) for the first time in 2010 Democratic primary campaign vs. Jerry Brown. Website generates over 1,000,000 visits 2013. PROCESS: Consultant. Producer of campaign outreach materials including poli-ti-sodes and reality television content. 2009/10. PayDirt network documentary, investigative journalism. Intelliscape Films. PROCESS: Producer, PayDirt film (60:00) investigate issues and claims associated with home building on converted military bases and brownfields. Vet and organize content related to national litigation. Work with D.G.A. director to incorporate material into white-collar feature film crime drama starring James Caan and Talia Shire for 2018 release (Con Man, Sony Pictures). National sustainability campaign (PayItGreen®) for 15 major banks. National Automated Clearinghouse Assn (NACHA). RESULTS: Campaign utilized by institutions such as Wells Fargo Bank, Bank of America, Citi, Chase, Capital One, Con Edison and others to encourage paperless banking. PROCESS: Create communications products including Business Tool Kit website and content, animated Flash elements, PayitGreen video, Bank of America/Wachovia Executive PowerPoints on internal change management. MILESTONES: Featured Presentation ConEd Earth Day, Madison Sq. Garden. Harvest Dreams 1 x 60 (1 h.) television documentary film about farmers making a transition from commodity agriculture to organic and niche markets on Washington’s beautiful Olympic Peninsula. Song on the Water 1 x 60 (1 h.) television documentary film and public relations campaign. Create public television film and outreach for Coast Salish and Nuu Chah Nulth communities, combating incidents of racism and violence in local areas. Film screened at Northwest Folklife Film Festival, Seattle, 2006. Aired over 240 times on public television stations in 80 cities across the U.S., portraying an image of positive futures for Native Youth. The Long House Association (Foundation), Port Angeles, Washington. Created/Executed Sun Microsystems Branded Channels. Sunergy, Digital Journey: Stories From a Networked Planet. Branding, Identity, Websites, Content Development for Clients, Partners, Universities, Government Agencies. Created with John Gage, Bill Joy, Scott McNealy, Greg Papadopoulos, others. Content focused on technology education, hardware and software. Uplinked to satellite from Brazil, Russia, India, China, other nations. Documentary filming and field research in North America, Europe, Scandinavia, Asia, Oceania, Latin America. 39 short films highlighting technology development around the world. Sun Microsystems, Digital Journey. RESULTS. E-Commerce in China, wins Emmy® Award. MP3 and Beyond, nominated for second Emmy® Award. Series garners 3929 airplays, 229 hours of broadcast time, 75,000,000 potential households, and 175,000,000 potential viewers, 43% of U.S. broadcast market (Neilsen), 52.64% of Canada broadcast market. Generated U.S. airtime valued at 8.25 million+ dollars for underwriter Sun Microsystems. Cost of production, 1.3 million dollars. Cost of distribution, 0. “No one has ever paid us to air our spots before” (David Howard, Sun Microsystems). PROCESS: Translated technology concepts into accessible stories for general audiences, extending the Sun and Java brands. Created feature length documentary film on the removal of dams from the Elwha River. Supported National Park Service efforts with Fine Art Photography exhibits in Washington State, San Francisco (Thoreau Center for Sustainability), and Ventura, California (Patagonia Headquarters). Amdahl Corporation. Senior Producer/Director for manufacturer of mainframe computer systems. 2 years. Corporate Communications Director, Southwest Gas Corporation. 4 years. Positioning, messaging, and targeting, content development, marketing communications, public relations, media production, writing for print, video and web. Website development. Executive training, communications strategy. International experience, Brazil, Russia, India, China, Germany, France, England, Finland, Sweden, Canada, Japan, Chile, Argentina. 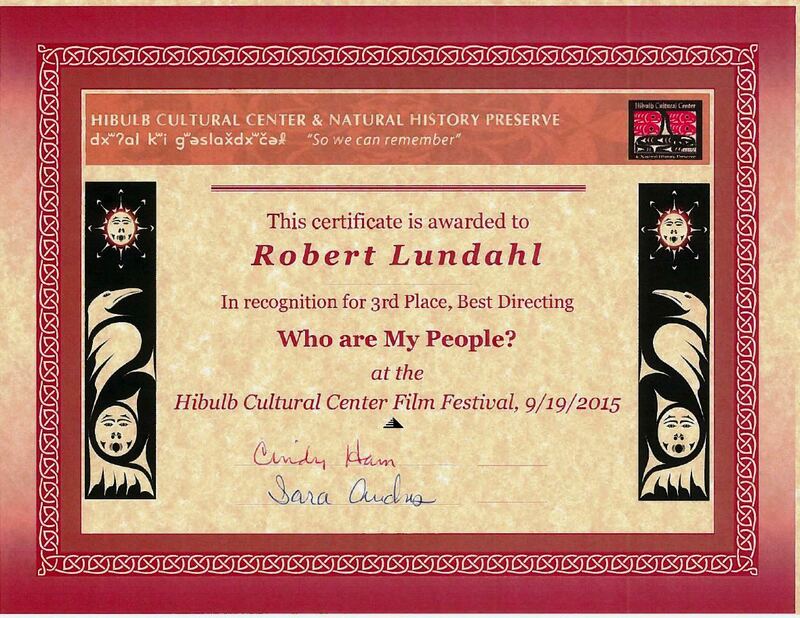 “Who Are My People?” Producer, Writer, Director, Cinematographer Robert Lundahl, RL | A. “Who Are My People?” Actor/Talent Robert Lundahl, RL | A. “Unconquering the Last Frontier,” Producer, Writer, Director, Cinematographer Robert Lundahl, RL | A. “Harvest Dreams,” Co-Producer, Co-Writer, Co-Director, Cinematographer Robert Lundahl, RL | A. “Song on the Water,” Producer, Director, Cinematographer Robert Lundahl, RL | A. “Digital Journey: Stories from a Networked Planet” Series, Producer/Director. 39 Part Global Series Robert Lundahl, RL | A. “Architecture and the Information Age.” w. William McDonough, Producer/Director. RL | A. “Re-thinking the Automobile” w. Amory Lovins, Producer/Director RL | A. “Bandwidth and the Small Community,” w. Peter Schwartz, Producer/Director/Writer RL | A. “Curitiba, The Smart City,” w. Jaime Lerner, Producer/Director. RL | A. “The Meaning of Small Things: Miniaturization in Japan,” Sun Microsystems, Mitsubishi, Sharp, Xanavi, others. Producer/Director/Writer RL | A. East Meets West, The Development of the Internet in China, Sun Microsystems, Institute of High Energy Physics, Beijing, PRC, NII Steering Committee. Producer/Director/Writer RL | A. “Freak Show, Andy Warhol in La Jolla, 1968” Brand Film Producer, Director, Editor RL | A. Human Origins of the Internet. Brand Film Producer/Director/Writer RL | A.
Moss Research Sustainable Surfboards Producer, Director, Cinematographer RL | A. Building eCommerce in China, Tsinghua University, Sun Microsystems, others Producer/Director RL | A.
Ben. Brand Film Producer/Director/Writer RL | A. Western Venture Capital in China, Sun Microsystems, Bo Feng/Robertson Feng Technology Group Producer, Director RL | A.
Palo Verde College, “Success” Producer, Director, Cinematographer RL | A, Upend Communications. High School, Irish Lit., Satire, the Canquered Muse, Shakespeare, American History, Physics, Math, French. University of Southern California Department of Cinema (Production), Los Angeles, CA, n/a, 1976/7. University of Oregon BFA (220 unit 5 year professional degree), Visual Design and Film, Eugene, Oregon, B.F.A., 1979/2003. B.F.A. thesis film, “The Burden of Proof,” on the use of Agent Orange in National Forests, shown to U.S. Senate Subcommittee hearings on the environment. Studied with Fine Arts Dean, David Foster, Animator/Filmmaker, Ken O’Connell, Film and Literary Critic William Cadbury, Art Director and Painter, Robert Kostka, and writer/film maker Larry Wittnebert. Activities and Societies: Visual Design I & II, Cinema Studies, Ecology, Geology and Volcanology, French, Sociology, Independent Study Photography, Independent Study–B.F.A. Thesis–Cinema Production. KWAX Radio. National Academy of Television Arts and Sciences, “Emmy”, 2001, Nor Cal Emmy, Best Direction, E-Commerce in China, Digital Journey: Stories from a Networked Planet. International Television Association’s “Golden Vision” Award, “Golden Vision” Award, 2000, “Rethinking the Automobile,” Digital Journey: Stories from a Networked Planet. U.S. International Film and Video Festival “Silver Screen,”, “Silver Screen”, 2001, E-Commerce in China, Digital Journey: Stories from a Networked Planet. I.A.A.V.C., Cindy Award, 2000, E-Commerce in China, Digital Journey: Stories from a Networked Planet. I.A.A.V.C., Cindy Award, 2000, Rethinking the Automobile, Digital Journey: Stories from a Networked Planet. Telly Awards, Telly, 1994, Lights out: The Sun Data Center Story. Columbus Intenational Film and Video Festival, Honorable Mention, 2002, Unconquering the Last Frontier feature documentary. Earthvision Environmental Film and Video Festival, First Place Winner, 2001. Unconquering the Last Frontier, feature documentary. Golden Angel Awards, Golden Angel, 1986, Linebreak documentary Southwest Gas Corp.
Columbus Intenational Film and Video Festival , Honorable Mention, 1997, East Meets West:Developing the Internet in China. Telly Awards, Telly, 2001, E-Commerce in China Digital Journey: Stories from a Networked Planet. International Television Association’s “Golden Vision” Award , “Golden Vision” Award, 2001, E-Commerce in China. Digital Journey: Stories from a Networked Planet. United Way Communications Showcase, Most Innovative Idea, 1990, Joe Zemke on United Way Claymation. American Advertising Association, ADDY Best Interactive Campaign, 2012, Campaign for Scripps Institution of Oceanography, Empowered Energy Solutions, comprised of two websites and three short videos. International Wildlife Film Festival, Honorable Mention, 2000, Unconquering the Last Frontier. 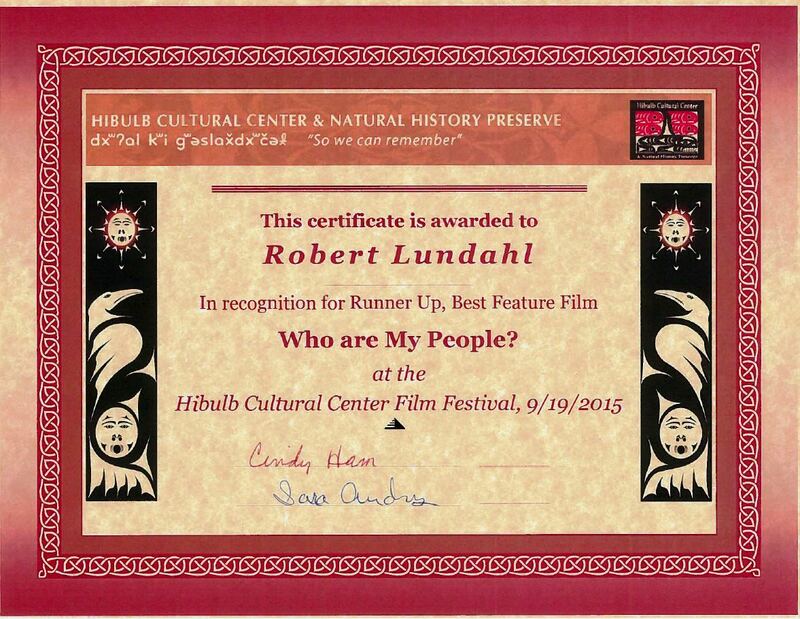 Third Place, Best Directing, “Who Are My People?”, Tulalip Tribes Hibulb Cultural Center Film Festival, 2015. 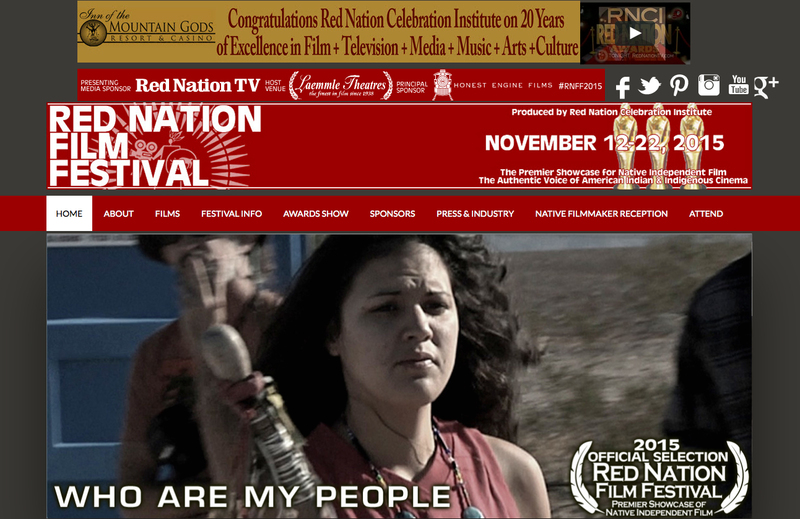 OfficalRunner Up-Best Feature Film, “Who Are My People?,” Tulalip Tribes Hibulb Cultural Center Film Festival, Runner Up-Best Documentary Film, 2015. “Unconquering the Last Frontier,” Tulalip Tribes Hibulb Cultural Center Film Festival, Third Place, Best Documentary Film 2015, “Song On The Water,” Tulalip Tribes Hibulb Cultural Center Film Festival, 2015, Runner Up-Best Directing, “Song On The Water,” Tulalip Tribes Hibulb Cultural Center Film Festival, 2015, Third Place, Best Directing, “Who Are My People?”, Tulalip Tribes Hibulb Cultural Center Film Festival, 2015.